The cost of mailing a first-class letter has risen 400 percent in the last 20 years. Many people believe mail service has deteriorated during this time. Many reforms have been made, but they have been ineffective, due to the Postal Service’s continued monopoly. The recent strike threat and wage settlements proved the danger and the high costs of preserving the current arrangement. Why is the Postal Service a monopoly? Who gains and suffers from this arrangement? The United States Post Office was almost put out of business by private competition in the 1840’s. In 1847, the government charged 25 cents to deliver a letter from Philadelphia to New York; Henry Wells (later of Wells-Fargo fame) entered the market and charged six cents a letter and delivered faster. The Post Office’s usual response to competition has been to urge Congress and the courts to enforce harsher penalties on any competitors. Some contend that the Postal Service is a “natural” monopoly. If it is natural, why does it need so many legal sanctions to protect it? The private Post Statues forbid anyone from carrying first-class mail for pay. the Post Office is very active in enforcing this later: in the first five months of 1967, 63 people and firms were investigated for possible violation of this statute. The result is that the public suffers lower quality service and higher costs to support postal workers’ “morale.” If the Post Office was commissioned as a “public service,” does it follow that any private corporation that provides faster service at lower prices is a “public nuisance”? In the restricted areas in which competition is allowed, such as parcels over one pounds, private firms have done very well. As the Postmaster General confessed in 1973, “We damage five packages for everyone one that United Parcel does.” Utility companies are delivering their own mail in many cities, and private mail carriers have sprung up (and received injunctions from courts) in many places, If competition was not so strictly banned, there would be many competitors, each trying to capture the market by offering the best service at the lowest prices. It is said that allowing private mail service would allow cream-skimming of the highest-value, shortest distance routes. If a private service can deliver such mail faster and cheaper, then why should it not be allowed to do so? Should someone driving from Roxbury to Cambridge be forced to pay for the gasoline of someone else driving from New York to Los Angeles? The Post Office was long satisfied to charge different rates for different destinations, and it was the motive of efficiency, not “social justice,” that brought a uniform postal rate. The postal monopoly gives a dangerous amount of power to the Postal Service Employees’ Union: A strike could harm the nation. With private competition, no single group would have that potential stranglehold. An eight-day unauthorized mail strike in New York City in 1970 necessitated calling out the National Guard. Postal employees have also agitated to cancel Saturday service. Last week’s settlement gave postal workers a 6.5% yearly wage increase plus guaranteed job security. Keeping the no-layoff clause prevents any significant innovations, and will perpetuate current inefficiency and waste. Every two or three years, the nation will face new strike threats, even though, with the new settlement, the average salary will reach almost $19,000, more than double the 1971 average. The only groups gaining from the current monopoly are the postal employees – starting salary for carriers is $8 an hour – and businesses using third and fourth class mail. Nobody advocates subsidizing junk mail (except the junk mailers); yet, it is being done. Everyone who uses the mail today is paying a monopoly tax twice – once in higher costs, and again in poorer service. The Postal Service has no incentive to give decent service. The people are allowed no alterative, and Congress will pay for any deficit ($680 million last year). Free competition in mail service would give savings and better service to almost everyone. A legally protected, unnatural monopoly is a current waste and a future threat. Mail service is becoming slower, more expensive and less reliable. No matter what the outcome of the current contract standoff between postal management and unions, the Postal Service wants to raise the first-class rate to 23 cents early next year — up 53% since 1981 and 666% since 1958, far faster than the inflation rate. First-class mail delivery is 10% slower than it was 15 years ago, and Postmaster General William Bolger concedes that postal delivery may have been more reliable in the 1920s. Even if politicians insist on preserving the government’s mail monopoly, there are far cheaper ways to deliver mail. The Postal Service already contracts out 4,800 delivery routes to private carriers, thereby saving up to two-thirds of its usual costs, according to John C. Maraney of the National Star Route Mail Carriers Association. Postal Rate Commissioner John Crutcher says that had postal wage increases since 1970 not been so excessive, a first-class stamp would now cost only 15 cents or 16 cents. Since 84% of the Postal Service’s costs are labor, contracting out would save a large portion of its $25 billion budget. The current system is forcing people to pay more and more for less and less service. Negotiations between the Postal Service and the unions on a new labor contract have broken down, and arbitration is likely. A strike is feared. The only certainty is that the government mail monopoly will still be a public nuisance. For 20 years, one postal reform after another has failed to produce good service at stable prices. The Post Office was a national embarrassment in the 1960s. In 1970 it was changed from a cabinet department to a quasi-government corporation, and renamed the Postal Service. But as a bureaucracy it is still sluggish. The Postmaster General and his army of aides work overtime to obscure the Postal Service’s meager performance. Mr. Bolger says that postal productivity is up 34% since 1970, and is still rising at a 3% to 4% annual clip. To put it kindly, Mr. Bolger has yet to corner the market on veracity. The Postal Service concocts its productivity gains by dividing the number of letters and parcels by the number of employees. But private companies now presort 25% of all mail down to zip code or carrier route, greatly decreasing the Postal Service’s workload. Since 1970, the Postal Service has lost almost half its higher-paying parcel volume to private competitors. Yet government measurements show the loss of parcel volume and the rising flood of low-paying junk mail as translating into productivity increases. The Postal Service also flouts reality with its claim of 95% next-day delivery of local mail. Study after study by private groups show otherwise. Rep. Bill Green (R., N.Y.) found that only 44% of intra-Manhattan mail was delivered overnight. The Postal Service’s delivery tests are a joke. The tests only measure when a letter arrives at the final post office — not when it is actually delivered to the addressee. Post offices are notified of the test day up to a month ahead of time, and the system does not count incorrect postmark dates (even though a GAO study found 10% incorrect postmarks). Even though it can no longer afford house calls, the Postal Service still wants to heavily subsidize junk mail. The service recently proposed a 15% rate increase for first-class mail, where it has a monopoly, while requesting rate decreases for selected second-, third- and fourth-class rates, where it faces competition. Nor will new technology bring the Postal Service out of the Dark Ages. Ecom, the electronic mail system, designed to bring postal technology into the 20th century, is a disaster. Despite a $40 million investment, Ecom still cannot promise to deliver mail any faster than regular delivery, and many dislike its cheap paper and shoddy printing. Last year, Ecom lost more than $1 on every letter it delivered. Intelpost, the international electronic mail service, is also a prize flounder. After spending more than $6 million since 1978, Intelpost has taken in less than $60,000 in gross revenues. The nine-digit zip code is a twice-fizzled panacea. The House Government Operations Committee says that the Postal Service has “repeatedly overstated and misrepresented the benefits that might accrue” from mega-zip, and the plan is dead in the water. No amount of tinkering will solve the postal problem. As long as the mail is carried by a tenured bureaucracy with no incentive to move quickly, service will continue to be slow, expensive and doubtful. The ideal solution is to open the floodgates to private competition. Do we really have to nationalize the transport of small envelopes? In 200 years, government has yet to reveal a genius for this task. But if politicians can’t stand the thought of open competition, the least they can do is tolerate more efficient, cheaper provision of services. Just because the government allegedly is responsible for the mail doesn’t mean government employees must deliver it. The U.S. Postal Service should contract with private companies to sort and deliver America’s mail. Contracting would save on excessive labor costs. The average postal employee makes more than $28,000 in pay and perks. He also receives additional retirement and health-insurance benefits. If these benefits were paid for by the Postal Service, instead of by the Treasury, first-class postage rates would be four cents higher. Postal Rate Commissioner Crutcher, a leading advocate of contracting out, says our 670,000 postal employees may be the highest paid semiskilled workers in the world. And their productivity badly lags their salaries. Private couriers race around downtown Washington, D.C., for $7 an hour, while their government counterparts mosey along for $13 an hour. Commissioner Crutcher visited a Hartford, Conn., private presorting company and found “mail sorting productivity far higher than I have ever observed in a Post Office.” Yet the workers were pulling in only $5 to $6 an hour, based on a piece rate. Private janitors who sweep post-office floors get $4.44 an hour, while the Postal Service’s own janitors are paid $10.89 for the same work. GAO estimated that up to $90 million a year could be saved simply by using only private custodians. Competitive bidding would produce far lower wage costs than collective bargaining. James Knight of the Postal Service’s Transportation, Procurement and Policy division concedes that private carriers do as good a job as Postal Service carriers — and for one-third less cost. Wholesale contracting out is now blocked by the union’s 1978 contract that included a no-layoff clause for employees hired before that time. But such terms are not set in stone, and 36% of current career employees are not so protected. The Postal Service could phase in private contracting by putting 20% of its sorting operations and delivery routes up for bid each year. At the end of five years private companies (no doubt employing many current Postal Service workers) could be expediting almost all of America’s mail. Their employees would have far greater incentive to be productive, and the public would have one less reason to curse the government. Since contract talks broke down two weeks ago, the service has been hiring new workers at pay rates 23% below current employees’ wages. However, the House has already voted to block even this modest reform. Bolder, more decisive action is needed. Even if the two-tiered pay scale survives, we should not depend on glacial reforms that will mainly benefit our grandchildren. If postal workers are so overpaid — as even the Postmaster General concedes — and Congress is unwilling to fight the postal unions by itself, President Reagan should make contracting out a top legislative priority. With his skills at communication, the proposal would undoubtedly prove wildly popular with the public. It would be a small step from private contracting to open competition. Once politicians and the public see the success and savings from private contracting, the mystique of the government mail monopoly will quickly dissipate. And the monopoly survives on mystique alone, since there are no good economic reasons for such pervasive restraint of trade. It should not be a federal crime to provide better service than the government. Mr. Bovard is a free-lance writer in Washington. The Postal Service is losing about $1.6 million a day because of its floundering nine-digit zip-code program. Five years of deceptions, inept judgments and foolish contracts have made the Postal Service look like a hopeless dinosaur in the age of high tech. But for the business community, the only thing worse than MegaZip’s failure might have been its success. Everything that could go wrong has gone wrong with MegaZip. The Postal Service misguessed 1985 nine-digit-zip letter volume by several hundred percent. Despite tens of millions of dollars of ads and discounts to users, barely a thousand mailers nationwide have adopted MegaZip. Some firms have tried and abandoned it. Yet postal management continues to swear that the program is doing just fine. MegaZip got off to a bad start in 1980 when the Postal Service hinted it was considering making longer zips mandatory for many business mailers. The service never made any estimate of the private-sector cost of converting to the new address system and launched its promotional blitz before it had developed the new equipment to handle longer zips. Five years later, postal management and the Postal Board of Governors are still fighting over what type of machines to buy. The MegaZip program has not suffered from a surplus of candor. The Postal Service misled the public about the potential benefits of MegaZip. Postal officials have implied that longer zips would lead to revolutionary breakthroughs in efficiency. But according to the latest calculations, even if MegaZip achieves its goals (about as likely as Congress balancing the budget), it will reduce the Postal Service’s annual mail-handling costs by less than 1% by 1989. The Postal Service manipulated its statistics to inflate the apparent return on investment. The Postal Service originally claimed that zip-plus-four would be profitable as early as 1982. But after incessant questioning by Rep. Glenn English (D., Okla.), chairman of the House Subcommittee on Government Information, postal officials admitted that the system would lose money at least until the mid- to late-1980s. The Postal Service is so desperate to boost nine-digit volume that it will soon lower the mail-preparation requirements necessary to qualify for nine-digit discounts. Thanks to this clever innovation, the Postal Service will soon be losing several tenths of a cent on every discounted nine-digit letter. When the Postal Service first launched the nine-digit zip, only single-line optical character readers (OCRs) were feasible for sorting letters. If mail sorting was to be fully automated, the final line of the address needed to have a number that showed exactly where the letter was going. But new multiline machines can read an envelope’s entire address and automatically spray a nine-digit bar code on letters. Since single-line OCRs can’t accurately sort letters that lack a nine-digit zip, buying single-line OCRs makes economic sense only if MegaZip is widely adopted — a doubtful assumption. In order to justify purchasing single-line OCRs, the Postal Service has consistently overestimated its projections for MegaZip usage. The General Accounting Office and the Congressional Office of Technology Assessment both recommended that the Postal Service buy multiline machines. But the Postal Service last year purchased an additional $200 million of single-line readers — even though the contractor offered to provide multiline equipment — and will be buying obsolete readers at least until 1988. As a concession to critics, the Postal Service is considering retrofitting the single-line machines with multiline reading ability. But as Rep. English notes, this is like “buying a car with a standard transmission, then ripping it out and installing an automatic.” Besides, no one is really sure that it is possible to retrofit the single-line machines, and the process could add up to 40% to the cost. Postal governor Ruth Peters estimates that the Postal Service is losing up to $1.6 million or more a day because of its refusal to move expeditiously on multiline readers. Once the Postal Service finally adopts multiline readers, most of the savings from automated mail handling will occur regardless of whether mailers apply the extra four digits. Discounts of up to nine-tenths of a cent are currently given for letters carrying the nine-digit zips, but that could end once multiline readers reduce the savings. Businessess that spent money converting their mailing lists on the assumption of a perpetual discount could be out of luck. cheaply than the Postal Service can, and by putting letters in a carrier-route sequence can save themselves five cents a letter — and save the Postal Service up to eight cents a letter. Private pre-sorting saves postal managers far more labor than MegaZip does. then business mailing costs — even with MegaZip — will almost certainly be higher and mail service will almost certainly be slower. With MegaZip, the Postal Service has combined contempt for its customers, a refusal to utilize the best available technology, and its usual aversion to learning from its mistakes. Is this really the kind of organization that deserves a monopoly? Mr. Bovard writes frequently on postal issues. Postmaster General Preston R. Tisch says stamp prices won’t go up this year, but has raised the prospect of a nickel hike in 1988. A lot will depend on how big a concession is made to the postal unions in negotiations this year. The history of recent settlements isn’t encouraging. But a means exists to give management the upper hand in that bargaining process, if it will only be used. It involves private contractors getting more of the action. Government currently is where the growth is. Employment in the U.S. Postal Service is up to 784,000, from 666,000 when Ronald Reagan took office, while productivity declined 2 ½% between 1979 and 1985, according to the USPS’s own figures. Millions of dollars are being spent advertising a “New Postal Service,” but users of the mails haven’t seen much change. Indeed, before his departure as postmaster general last summer, Albert Casey advised promising and providing less service in two areas. He suggested Monday mail delivery be abolished and standards for two-day mail delivery for first-class mail of 60- to 600-mile distances be abolished. A three-day standard for intercity mail would lead to greater reliability, he said, and the end of Monday mail would obviate inefficient weekend sorting. Certainly the existing operation has its inefficiencies. A 1986 internal evaluation cited in Business Mailers Review concluded that letter carriers waste almost 1 1/2 hours a day — costing the Postal Service more than $600 million a year. Confirming a problem spotted in such internal studies, a 1984 survey by Doubleday & Co. found that 8% of bulk business mail was either thrown away or lost. Postal workers this past year have been implored by the Postal Inspection Service to stop ditching the mail. And the Postal Service continues to fail to meet its own delivery standards. An internal audit found early last year that 83% of business bulk mail not pre-sorted by the mailer down to the carrier route is delivered late. A 1986 study by Rep. Bill Green (R., N.Y.) found that, though service has been improving, 32% of first-class mail in Manhattan is still delivered late. Yet still the empire grows. The Postal Service announced last October plans to borrow (through off-budget U.S. financing) $7 billion for a huge building program. But, as dissident Postal Governor Ruth Peters argues, innovation in mechanization could drastically change the future requirements for postal building sizes. It is no surprise that the USPS is a mess. But why has the Reagan administration done so little to curtail the last great American monopoly? And what else can be done in its final two years? The administration has occasionally mouthed complaints about the Private Express Statutes — the laws that prohibit free choice in mail service — but has done little aside from talk. The White House intervened earlier last year to stop the Postal Service from banning private companies from shipping bundles of letters overseas to be deposited directly in foreign mail systems. But this was fairly minor. Private mail sorting and private courier companies pay $5 to $7 an hour. The USPS could get by in many classifications at half the current wage. And since labor accounts for 84% of postal costs, this could result in far lower postal rates. Postal Rate Commissioner John Crutcher has been championing contracting out for four years — yet has received little support from the Reagan administration. Deputy Postmaster General Jackie Strange promised nearly a year ago that the Postal Service would increase its contracting out. But the only major privatization has been the contracting out of the repair of old mail bags. Though the Postal Service already successfully contracts out thousands of rural mail routes and local post office operations with massive savings, management appears adamantly opposed to further changes. An official Postal Service magazine recently included an article entitled, “Privatization: A Clear and Present Danger?” featuring a full-page picture of the shadow of an ax hanging over the Postal Service logo. The USPS could begin a couple of local contracting-out experiments now, without congressional approval. Showing that enough people would sign up to sell stamps and be surly for only $7.50 an hour could place the unions on the defensive in the forthcoming wage talks. Contracting out is by far the biggest weapon the management has in negotiations. Yet — as in the 1984 labor negotiations — the Postal Service probably will go to the bargaining table holding a nearly empty hand. Mr. Bovard writes often on the USPS. — Achieved a net income of more than $305 million, marking the fourth time in the past five years and the fifth in the past 10 it has been in the black. — Established delivery performance records in six of the nine categories of mail measured against standards — and tied a seventh. — Increased use of automated equipment to help process a record 147.4 billion pieces of mail. — Launched a more businesslike, customer-oriented approach to a growing competitive environment through a nationwide management restructuring. The most outrageous Bovard charge is that the Postal Service “is a mess,” mired in inefficiencies and delivery failures. Changes brought about by a nationwide restructuring of the service have resulted in strong, positive customer reaction. Delivery performance in 1986 was the best ever and other service improvements, including extending the window hours in 3,000 different offices, have been put in place and are expanding. Recent national tracking studies reveal that the public knows that there is, in fact, a “new” Postal Service and that it is working to the public’s advantage. Record-high percentages of those who send (56%) or receive (57%) mail (and that is virtually everyone) believe they are getting excellent or very good service. Overall, more than 84% have a favorable or very favorable impression of the Postal Service. Postmaster General Preston R. Tisch never “raised the prospect of a nickel hike” in postage rates in 1988. The possible need for a rate increase is being explored but no specific amounts have been discussed or even alluded to. BYLINE: By James Bovard; James Bovard writes frequently about Government services. BODY: The United States Postal Service is drowning in junk mail. The average postal carrier delivers more junk mail, or third-class letters, than first-class mail. The result is a rapid decline in the quality of all postal services. It’s time to deregulate delivery of third-class mail, thereby relieving the burden it places on the postal system. That would also create healthy competition for the Postal Service to become more efficient or lose a large share of its business. Mail service is getting slower, more expensive and less reliable. Delivery time for first-class mail is 10 percent slower than in 1969. Meanwhile, the cost of first-class postage is rising at a rate twice as fast as inflation. Next year, a first-class stamp will cost 25 cents. Yet, according to the Postal Service’s own figures, postal worker productivity has sharply declined in the 1980’s. It seems that many postal employees have responded to the increased volume by simply dumping it. A Providence, R.I., carrier was recently arrested after 94,000 undelivered letters were found buried in his backyard. A North Carolina carrier was fired after he dumped his mail in an outhouse to avoid delivering it. Throwing away mail has become so pervasive that postal inspectors recently notified employees that throwing away mail was bad for the Postal Service’s business. According to a newsletter from the Third Class Mail Association, an organization of businesses that use third-class mail, senior postal officials have admitted that the Postal Service cannot handle the rising volume of third-class mail. In the association’s most recent survey, almost 90 percent of third-class mail was delivered late – or after 10 days. The Postal Service heavily subsidizes third-class mail. It costs six times as much to mail a three-ounce, first-class letter as a three-ounce, third-class letter. Yet a study by the American Newspaper Publishers Association found that the two classes receive almost equal treatment. Greed is the core of the problem. The Postal Service is like the dog in Aesop’s fable that, even though sickened by eating hay, did so in order to keep the cow from eating it. Though the Postal Service does a poor job of delivering mail, it prohibits private mail delivery. The Postal Service rests on its monopoly for delivery of letters. If a label on advertising circulars reads ”Occupant,” it is a Federal crime for, say, the Boy Scouts to raise money by delivering them. There are a few exemptions to this monopoly – parcel post and overnight delivery, for instance. Where private firms are allowed to compete, the Postal Service is put to shame and business goes elsewhere. The Postal Service’s share of the overnight letter business has fallen 60 percent in the last year, and its parcel post business has almost been taken over by United Parcel Service. First-class mail is becoming the ghetto of American communications. The obvious solution is to abolish the Postal Service’s monopoly on letter delivery, but so far postal unions have used their influence to block legislation that would end the monopoly. An easier solution would be to deregulate delivery of third-class mail. This could be done instantly by an administrative order issued by the Postal Service’s board of governors. Allowing private delivery of third-class mail would save the Postal Service from collapsing under the flood of junk mail. It would create thousands of low-skilled jobs and reduce teen-age unemployment. It would also lead to innovative deliver systems as entrepreneurs strived to cut costs and boost efficiency. Best of all, deregulating delivery of junk mail would help create an elaborate network of private mail deliverers, who, once organized, could create political pressure to abolish the Postal Service’s monopoly on first-class mail delivery. The United States cannot afford to enter the next century with a communications system little changed from the 18th century. Deregulating junk mail delivery would be an important step toward creating an efficient, speedy nationwide network for delivering all letters. It should not be a Federal crime to deliver the mail faster than the Postal Service can. In a footnote to James Bovard’s June 9 Op-Ed article, you said that Mr. Bovard ”frequently writes about Government services.” You would have been more accurate if you had said that he writes frequently about privatizing government services. In his haste to find fault, however, he often allows his bandwagon to run amok, rolling over much that is good. Pedestrian facts end up flattened. His latest joyride, ”Enough Fourth-Class Service on Third-Class Mail,” began with a falsehood. In truth, the average postal carrier does not deliver more third-class mail than first-class mail. First-class mail volume always has exceeded third-class volume. In 1986, the Postal Service delivered 76 billion pieces of first-class mail and 55 billion pieces of third-class mail. …The U.S. Postal Service is one of the best in the world on all fronts. Our rates are the lowest among all industrialized nations. We deliver more than 400 million pieces of mail a day, and do so efficiently the vast majority of the time. Where problems exist -and we acknowledge that they do – we are working with the mailing industry and individual customers to take corrective action. So as Mr. Bovard continues to play his fanciful intellectual demolition derby, the Postal Service will continue to provide the most efficient and economical service possible to customers throughout the United States. The Postal Service recently revealed plans for the greatest intentional mail slowdown in American history, and will soon be formally announcing the coming of the 30-cent first-class stamp. For the past five months, I have repeatedly sought an interview with Postmaster General Anthony Frank to offer him my congratulations on these postal landmarks and to tap his opinions on other mail issues. But, alack, the Postal Service Communications Office refused to grant an interview. Its Art Shealy explained that Mr. Frank had recently appeared on “The Pat Sajak Show,” and thus did not need exposure in this newspaper. Mr. Shealy also noted that my previous postal articles had been tainted with bias, and implied that this precluded me from having a chance to talk to the postmaster general. But, though the Postal Service dodged my direct questions, Mr. Frank’s opinions and values can be surmised from other speeches and interviews he has given recently. Mr. Frank, who took office in April 1988, is an intelligent, capable former private executive who appears to have been captured by the top bureaucrats at postal headquarters. The Postal Service expects to lose almost $2 billion in the coming year and is responding to its budget crisis by throwing its customers overboard. The major postal issue in America is whether the Postal Service should continue its monopoly on letter mail delivery — or whether mail service can be entrusted to the same competitive forces that rule the rest of the U.S. economy. Some of the Postal Service’s own employees are no prizes. Fourteen New York employees were arrested in April 1988 for backdating postmarks on entries of a New York Daily News contest to predict the final score of the 1987 Super Bowl. Thirteen hundred postal workers were fired or suspended in 1987 for mauling, destroying or stealing mail. A recent national audit found deliverable mail thrown in trash bins at 75% of post offices. Mr. Frank told Advertising Age in September, “Private delivery has . . . been tried plenty of times before and failed every time.” Actually, in areas in which the government could not ban alternative delivery, private competition is burying the Postal Service. The Postal Service’s share of courier/overnight express mail business has plummeted to 12% since the early 1980s. When asked about the near-extinction of the Postal Service’s fourth-class parcel business, Mr. Frank told the National Press Club in a 1989 speech: “Unfortunately, we only handle about six to eight percent of all the parcels in the United States. The remainder is sent primarily with United Parcel Service and some of the other services. So we never even get a shot at being able to compete.” This is the ultimate self-delusion: a businessman, whose company vexed customers almost every chance it got, whining about not getting a chance to compete. The Postal Service is drowning in red ink largely because the average worker is costing it more than $43,000 a year. Yet, Mr. Frank said in the “Ask Washington” interview that he does not believe postal workers are overpaid, in part because “we had three thousand workers [out of 835,000] bitten by dogs last year.” Postal Rate Commissioner John Crutcher recently surveyed state governments to compare U.S. postal pay with state agencies’ mail-clerk pay. The result: Postal Service employees are paid 84% more than their state-government counterparts. Contracting out is often suggested as a means to reduce postal costs radically. A recent Postal Inspection Service study found that for the few carrier routes that are contracted out, the Postal Service saves almost 50% in personnel costs. Yet, apparently, the only “major” area Mr. Frank is considering contracting out is postal-vehicle maintenance, and even on this point he appears to have his doubts. This August on the “Today Show,” Mr. Frank declared that the American people are getting “the best [mail] service in the world.” But, in the U.S., customers must pay the Postal Service $8.75 for quasi-guaranteed next-day delivery, with a high failure rate. In Britain and West Germany, for a first-class stamp costing less than 50 cents, a person can get comparable mail delivery throughout the country. In 1764, colonial Postmaster General Benjamin Franklin proclaimed a goal of two-day mail delivery between New York and Philadelphia. In 1989, the Postal Service’s goal is two-day mail delivery between New York City and next-door Westchester County, N.Y. The typical first-class letter takes 15% longer to arrive than it did in 1969. In recent years, the Postal Service has slashed service by abolishing Sunday mail pickups and rolling back the last mail pickup times in many towns and cities to 4 p.m. from 5 p.m. The Postal Service in February will take a great leap backward, sharply reducing the role of airplanes in mail delivery. It decided that it would be cheaper to transport mail by trucks than by planes. Accordingly, the Postal Service soon will sharply reduce the number of places it targets for overnight and two-day mail delivery. Mail traveling 400 miles (less than a one-hour flight) will be considered on time if it arrives within three days of mailing. Amazingly, Mr. Frank denies that the planned mail slowdown will be a reduction in service. He told a Brookings Institution forum in October: “The result will be more consistent service, not less. I think that will save all of us money and a lot of pain.” “Slower is better” is the Postal Service’s new motto. Rather than worrying about deteriorating mail service, Mr. Frank is leading the Postal Service on a wild goose chase in pursuit of the Washington Holy Grail — a good image. He has talked of having the Postal Service register voters and sell Postal Service bonds to private citizens. Last month, the Postal Service spent $15 million for the right to co-sponsor the 1992 Olympics — partly because it hopes the resulting advertisements will improve the image of Express Mail. The U.S. cannot afford to enter the 21st century with a communications system that has deteriorated since the 18th century. Regardless of Mr. Frank’s good intentions, mail service continues getting slower, more expensive and less reliable. How much more can the Postal Service punish its customers before it loses the right to ban competitors? In regard to James Bovard’s Dec. 29 editorial-page article “Mail Monopoly Says Happy New Year”: The bleak scenario Mr. Bovard paints of the Postal Service’s condition is not accurate. He blithely ignores the fact that the organization is healthy and is charting a course for the future. We have adopted a long-range strategic plan to meet the challenges of maintaining reasonable rates and providing quality service with productive employees. When Mr. Bovard claims “fancy new equipment often proves ill-suited and is a major cause . . . for reducing overnight mail delivery” he makes another major distortion. Our new automation equipment, in fact, increases accuracy of delivery. Last year it saved us $190 million. Since it went into use early this decade — while annual mail volume rose from just over 100 billion to more than 160 billion — automation has allowed us to avoid hiring 35,000 additional people to process such a huge increase. The bias from which Mr. Bovard writes is obvious. His organization, the Cato Institute, clearly opposes efforts by the Postal Service to improve its competitive posture, especially in the international marketplace. In fact, one of the institute’s directors is party to a lawsuit seeking to prevent the Postal Service from lowering rates for its international Express Mail. The article is just another case of Mr. Bovard mixing facts with fancy to suit his own and Cato’s agenda — breaking up the Postal Service for the profit of a few to the detriment of the many. Sunday’s four-cent hike in stamp prices will help finance the greatest intentional mail slowdown in U.S. history. The average first-class letter now takes 22% longer to reach its destination than in 1969. Last July, the Postal Service began sharply reducing its delivery standards for first-class mail. With the previous standards, the Postal Service strove to deliver first-class mail overnight within a 100- to 150-mile radius; now the radius is often less than 50 miles. According to Postal Service official John Potter, in testimony before the Postal Rate Commission, the revised standards could add 10% to the average delivery time for first-class mail. While the Postal Service admits to slowing the mail, postal officials have long deceived the public on how slow mail delivery really is. Mr. Frank bragged to the National League of Postmasters in 1989 that the Postal Service was succeeding in meeting its 95% overnight delivery standard for local first-class mail. He got these exemplary performance statistics from internal tests that have been criticized as biased by the Postal Inspection Service and Postal Rate Commissioner John Crutcher. Last year, partly due to this criticism, the Postal Service contracted with a private firm — Price Waterhouse — to measure first-class mail delivery. In November, the Postal Service announced the results. Even with the new, slower delivery standards, 20% of local first-class mail was delivered late — a failure rate four times higher than postal officials previously admitted. The Price Waterhouse test also revealed the percentage of mail lost, trashed and/or misdelivered. But the Postal Service decided that this information was too sensitive to divulge. The Postal Service has also gone covert on the performance of its flagship service, Express Mail. Despite highly advertised delivery guarantees, Express Mail is about as reliable as a Scud missile. Postal Service internal tests showed that from mid-December 1989 through mid-January 1990, more than 16% of all Express Mail letters were delivered late. The following August, the Postal Service “solved” this problem by announcing that it would no longer reveal its Express Mail late rate. Two months later, Mr. Frank proudly announced, “Express Mail has reached record highs for on-time delivery.” Since the performance data is now top-secret, it is difficult to dispute Mr. Frank’s claim. But it is extremely unlikely that in a mere few months Express Mail’s performance could have ricocheted from the near all-time low levels of early 1990. Last October, the Polish Parliament voted 256 to 1 to end the Polish government’s postal monopoly, opening the door for private mail delivery. Scores of U.S. government officials have flown to Poland to lecture the Poles on the virtues of free enterprise. The U.S. should take a lesson from a nation that has been pauperized by government-controlled enterprises. The American people no longer need a monopoly that appears more interested in storing letters than in delivering them. Consumers are getting yet another shellacking from the Postal Service. While trying to exercise maximum spin control on the latest rate increase, the post office is increasingly defrauding its customers, boosting rates while intentionally slowing down the mail. And much greater rate hikes or massive taxpayer bailouts could be just around the bend. In 1764, colonial Postmaster General Benjamin Franklin proclaimed a goal of two-day mail delivery between New York and Philadelphia. Currently, after reductions in delivery goals in 1990, the Postal Service considers it a success to deliver first-class mail from New York City to next-door Westchester County or Long Island in two days. In the 1860s, the Pony Express prided itself on covering more than 200 miles a day. But today the Postal Service’s goal for next-day delivery usually extends only 60 miles or less – and it fails to achieve that goal in New York City almost half the time. The Postal Service has spent billions of dollars on automation since 1987. Unfortunately, the main achievement of the program thus far is a national plan to intentionally slow down the mail in order to allow workers to better use the new equipment. And while its flacks praise the Postal Service for maintaining “rate stability” (the rate hike is less than the rate of inflation), the Postal Service is drowning in red ink. Trey LeBlanc, vice chairman of the Postal Rate Commission, noted that Postal Service witnesses said the service would be considered bankrupt if it were a private company. The Postal Service has had massive losses for five straight years and now has a negative net worth of almost $ 9 billion. It’s relied on massive borrowing – guaranteed by the taxpayers – to cover the deficits. At some point, consumers or taxpayers will have to cover those losses. As long as the Postal Service has a monopoly, there is little aggrieved customers can do to respond to each slowdown or snafu. But nations around the world are beginning to recognize that government agencies have neither the competence nor the right to mail monopolies. The Polish parliament voted 263-1 in 1990 to abolish the government mail monopoly. Sweden abolished its government mail monopoly Jan. 1. A European Union green paper has recommended legal revisions to greatly increase private competition with government post offices. Just the threat of private competition can invigorate government services. Private delivery services are popping up in Britain, and the British Post Office has responded by increasing from 75% in 1989 to over 90% the proportion of first-class mail delivered overnight nationwide. Rather than continuing to allow a mismanaged bureaucracy to hold the public hostage with bad service, Congress should repeal the archaic 19th-century laws that imposed a government monopoly on letter delivery. In a high-tech age, the nation can no longer afford to vest power over vital communications with a blundering government bureaucracy that views speedy delivery as an unjustifiable burden on itself. The U.S. Postal Service is cracking down on private mailbox owners with onerous new reporting and address requirements. Unfortunately, Americans’ privacy will be a collateral casualty of this abuse of power. for customers. Private mailbox services arose during the 1970s, when some people were told they would have to wait years for a post-office mailbox. Private mailbox services, with longer hours and far more services than the Postal Service, are lifesavers for small business owners. And the Postal Service makes windfall profits from them because delivering a carton of mail to a private post office is far cheaper than divvying it out to dozens of homes and businesses. But the success of its private competitors embarrasses the Postal Service, which now is demanding that private mailbox customers put the equivalent of a “Scarlet A” on their addresses. Many private box owners now simply use the street address of the private mail office; some add a suite number. The mandatory PMB designation is an attempt to make an entire industry appear a bit shabby and shady. The Postal Service is also requiring those who want a private mailbox to show two types of identification, including a photo, and give their home address and phone. The Postal Service initially said it would provide this personal information to anyone who asked. After a backlash from privacy advocates, it promised two weeks ago to tighten its disclosure policy, but has not yet revised its proposed regulations. Juley Fulcher of the National Coalition Against Domestic Violence says the proposed regulations “could be particularly dangerous for battered women who are trying to conceal their location from someone who is stalking them.” Her coalition worries that the Postal Service won’t safeguard the information it compels private mailbox users to surrender. And what’s the next step? If the Postal Service can require two forms of identification from anyone receiving mail in a private mailbox, then why can’t a mail deliverer demand to see two pieces of identification from you before he gives up your home mail? The Postal Service justifies the new burden by warning of the dangers of mail fraud. However, the Postal Service can provide no information as to the number of fraud convictions related to private post office boxes compared to its own mailboxes. Instead, a few anecdotes are deemed sufficient to sanction new restrictions on millions of citizens. Local franchise owners of private mailbox offices loudly denounce the new rules. The Small Business Survival Committee, a Washington lobby, warns that the rules will cost businesses hundreds of millions of dollars in transition costs for things such as customer notices and new stationery. When the Postal Service initially proposed the new requirements late last year, public comments ran 800 to 1 against the controls. The Postal Service moved ahead anyway. But Congress may yank on its reins: Rep. Ron Paul, R-Texas, has proposed a resolution that would wipe away the new requirements. That would be a good step, but the only real solution is to demilitarize the Postal Service’s legal arsenal and end its power over other American businesses and American citizens. The Postal Service has been intentionally slowing down first-class mail for almost 50 years. The U.S. Postal Service announced plans this month to phase out overnight delivery of first-class mail. Postal officials are portraying the decision as a painful but necessary budget-induced departure from a long history of exemplary service. In reality, the Postal Service has been intentionally slowing down first-class mail for almost 50 years. It’s time to end the post office’s monopoly on letter delivery. In 1960, the post office’s annual report announced “the ultimate objective of next-day delivery of first-class mail anywhere in the United States.” But official standards for overnight delivery were lowered later that decade, trimming the target zone from statewide to areas conveniently covered by mail-sorting centers. At a high-level meeting in 1969, postal management decided “to no longer strive for overnight mail delivery and to keep this a secret from Congress and the public,” the Washington Post reported in 1974. Management also considered cutting costs by educating Americans not to expect prompt service, according to the Post. Back in 1764, colonial Postmaster General Benjamin Franklin — yes, that Benjamin Franklin — proclaimed a goal of two-day mail delivery between New York and Philadelphia. In 1989, the Postal Service’s goal was two-day delivery from New York City to next-door Westchester County, N.Y. Under the new standards, the target for overnight first-class delivery was reduced from a 100-to-150-mile radius to often less than 50 miles. The Postal Service estimated that the changes could add 10% to the average delivery time for first-class mail, which was already 22% slower than it had been in 1969. In 1996, partly to counter its widespread “slacker” image, the Postal Service began bankrolling a Tour de France bicycle racing team. But this did not deter the service from again hitting the brakes on the mail. The Postal Service has gotten away with scorning its customers because it is effectively a federal crime to provide better mail service than the government. The Postal Service has a monopoly over letter delivery (with a limited exemption for urgent, courier-delivered letters costing more than $3). The monopoly, which dates back to the 1840s, has become more indefensible with each passing decade. When people bought “forever” stamps, they didn’t realize that the name referred to the delivery time, not stamp prices. The American people can no longer afford a monopoly more interested in storing letters than in delivering them. James Bovard is the author, most recently, of “Attention Deficit Democracy.” He has been writing about the Postal Service since 1978.
from today’s Washington Times BOVARD: ‘We deliver’ NOT! The Justice Department on Tuesday joined a lawsuit accusing Lance Armstrong of defrauding the U.S. government. The U.S. 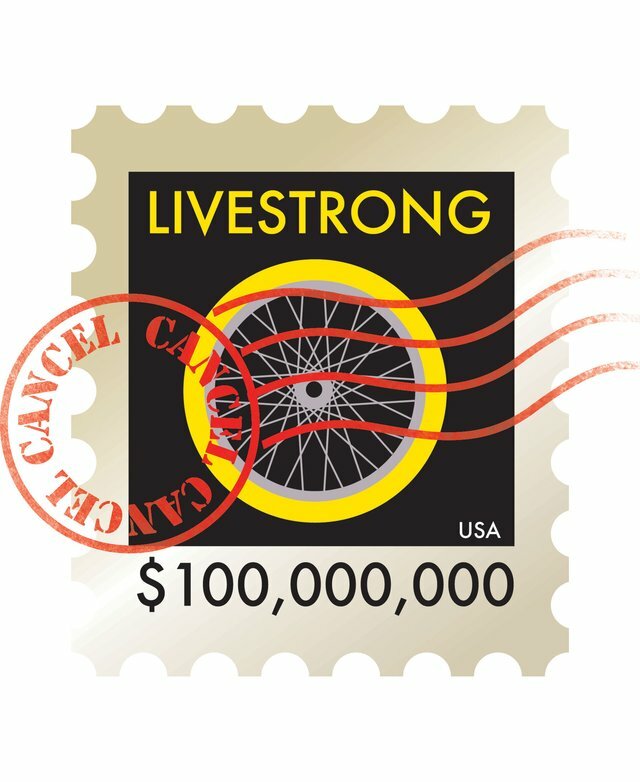 Postal Service spent $40 million sponsoring Mr. Armstrong’s bicycling team from 1996 through 2004, including the years when he won six Tour de France titles. Mr. Armstrong is being sued under the False Claims Act, which could provide the feds with triple damages if they win — more than $100 million. Nothing that Mr. Armstrong did has hurt the Postal Service’s image 1 percent as much as the perpetual, intentional slowdowns of first-class mail. At a high-level meeting in 1969, postal management decided “to no longer strive for overnight mail delivery and to keep this a secret from Congress and the public,” according to The Washington Post. In 2000, four years after it began sponsoring bike racers, the Postal Service quietly slashed delivery targets in much of the nation for first-class mail — scorning a federal law requiring the “highest consideration” to providing speedy mail delivery. First-class mail delivery is now more than 20 percent slower than it was in the 1960s. In late 2011, the Postal Service suggested it might phase out next-day mail delivery across the board and recently proposed ending Saturday delivery. Shortly before it began sponsoring a bike-racing team, the Postal Service was a poster boy for the Clinton administration’s “Reinventing Government” campaign. President Clinton declared, “There’s no reason that we can’t have a post office where you always get served within five minutes of the time you walk up to the counter.” This made a nice applause line, and the Postal Service made a brief, half-hearted effort to fulfill that pledge. Postal management “solved” that problem a few years ago by removing clocks from post office lobbies around the country — making it more difficult for customers to track delays. Mr. Armstrong has never been accused of throwing tacks in the road to sabotage competitors, but this is the first refuge for the Postal Service, and its lawyers are faster than its carriers. The Postal Service has a monopoly over letter delivery (with a limited exemption for urgent, courier-delivered letters costing more than $3). No matter how often the Postal Service slashes its standards, it’s still a federal crime to provide better mail service than the government. The Postal Service even tried to claim email was a violation of its monopoly, but the Federal Communications Commission rebuffed that power grab. In its lawsuit, the Justice Department claims that the Postal Service is entitled to “recoup the tens of millions of dollars” the service paid Mr. Armstrong’s team “based on years of broken promises.” At this point, there is no longer any doubt that the cyclist is a liar. It is difficult to see how his chicanery hurt Uncle Sam, in contrast to the individuals that Mr. Armstrong maliciously sued to punish them for telling the truth about his doping. It never made any sense, though, for the Postal Service to bankroll a bicycle-racing team at the same time that its own employees were widely perceived as a bunch of slackers. While the Justice Department has unlimited resources to pursue Mr. Armstrong, there is no way for average Americans to recoup all the losses they have suffered from delayed mail, lost letters and damaged packages thanks to the U.S. Postal Service. Nor will Americans ever have a chance to vigorously cross-examine a long series of postmaster generals and their congressional accomplices who drove the national mail service into the ditch. The False Claims Act should be amended to permit Americans to sue federal agencies and drop legal hammers on political appointees who try to sweep truth under the rug.